CC: “When I was 17 years old—at my first job as assistant conductor at the Usdan Center which had four youth orchestras. I remember the sensation I felt the first time I stepped onto the podium to conduct. I knew immediately that I was home. CC: “I’d have to say Beethoven—for his great spirit of perseverance despite his evolving deafness. He could have given into despair and become a hopeless alcoholic like his father. Speaking of fathers…my Dad. I watched him very carefully. He had an incredible ability to remain most calm during times of great stress and upheaval all around him. He accomplished seemingly impossible tasks in what he called his ‘own quiet way, without any fanfare’. And he had a heart of gold. People felt his heart, and reacted in kind. CC: “That’s a good question. Yes and no. 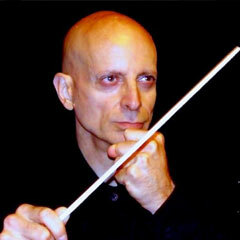 For example, two of the most successful American conductors, James Conlon and Michael Tilson Thomas both spent decades conducting abroad before having music directorships here in the U.S.
“Some of the biggest orchestras such as Los Angeles, Chicago, Cleveland, Boston and Philadelphia still have foreign born music directors, and interestingly, there are a lot of Americans working in Germany—conductors and singers. When I tour Russia, there is always considerable media coverage because I’m a foreigner, and an American at that. 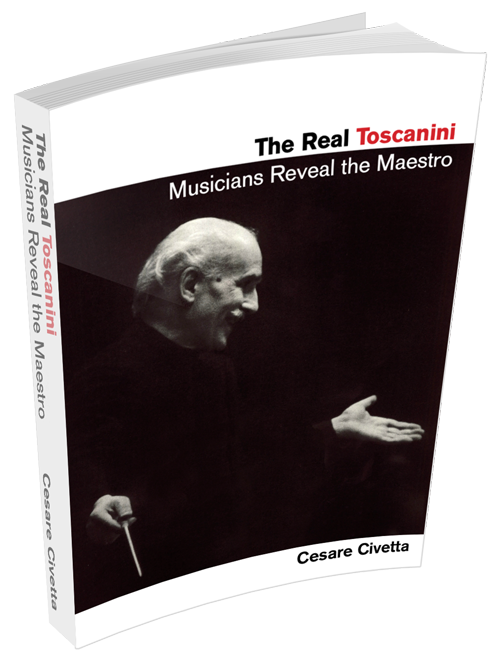 CC: “Orchestra boards and managements are very careful about programming. And conductors too, are sensitive to the receptivity of their audiences. It’s a question of education. There’s no reason why audiences anywhere can’t be introduced to new music, and fully enjoy it. “From the 20th century I’m particularly attracted to the music of Ives, Bartok, Shostakovich, Prokofiev, Strauss and the contemporary Latvian composer, Peteris Vasks. I believe their music will survive and be part of the standard repertoire 200 years from now. CC: “Gary Graffman gave an interesting talk at the 2002 annual conference of the American Symphony Orchestra League, in which he stated that in his youth, audiences were mostly grey haired, and continue to be so today, 50 years later! “I recently attended a performance in New York City’s Central Park, and was delighted to find a relatively young crowd there. Those with grey hair were certainly in the minority. CC: “This may surprise you, but I celebrate the sounds and colors and styles that differentiate certain orchestras and regions from one another. One can truly marvel at the ability of some of the American and English orchestras to practically sight read anything. In one way, as orchestral standards have continually grown higher and higher over that last 100 years, there has been a tendency toward an overall unified homogenized sound. But there’s still something very unique about a Russian orchestra playing Tchaikovsky. It’s definitely a certain sonority that can’t be matched anywhere. It’s an extraordinary, spiritual experience to conduct Russian music with Russian orchestras for Russian audiences. By the same token, I’ll never forget the first time I heard the Vienna Philharmonic play the 1st movement of Beethoven’s Pastorale Symphony—Now THAT’S a unique individualized sound! “What is sonority? It’s an expression of the players’ hearts. It’s very subjective. CC: “Certainly composers such as Bach and Mozart and Beethoven were constantly seeking out and celebrating new, improved, superior instruments that were increasingly stronger and more versatile. This evolution in the development of instruments has continued to the present day. And I see no reason to limit the vast, dramatic improvements that continue to be made, just because these composers’ lives happen to have ended! “Certain aspects of articulation and bowing were influenced by the design and limitations of old instruments. It’s a hard call to make: When do we heed the articulation demanded by the instruments of a certain period vis à vis what is inherently found in the music itself? “Leonardo da Vinci designed a fascinating instrument which combined the sonority of string instruments (through the use of bow hair touching strings), with the agility advantages of a keyboard, with the seamless sustaining power of an organ through a foot pedal, which caused a wheel of bow hair to turn! In Barber’s Adagio for Strings where one wants this very long lyrical line to be unbroken—the last thing you’d want to be aware of is a uniform changing of bow direction by a string section. Here, this instrument of da Vinci’s would be ideal for the task. In this composition I insist the musicians use free bowing to maintain an unbroken line.